I've been working on more techniques using Illustrator. I would have loved to have this outfit when I was 5 years old only wore my favorite colors pink and purple. I've been drawing lots of animals lately, so I thought I should get back into the practice of drawing kids. 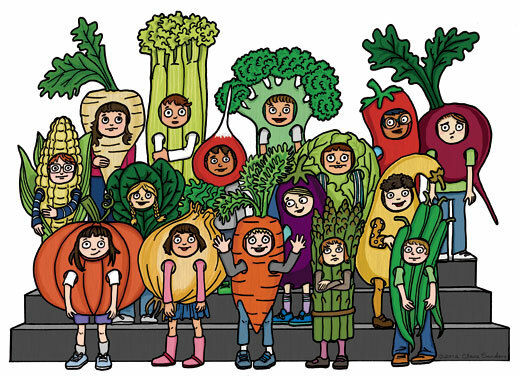 There are always lots of kids in the annual Vegetable Pageant that I just made up. I've also been experimenting with quick ways to get tone and texture variations when filling in flat color using Photoshop. I just did a quick translucent texture overlay on the costumes, it's hard to really see it here but that's kind of the point. I updated the about section of the site (slightly) since I moved. 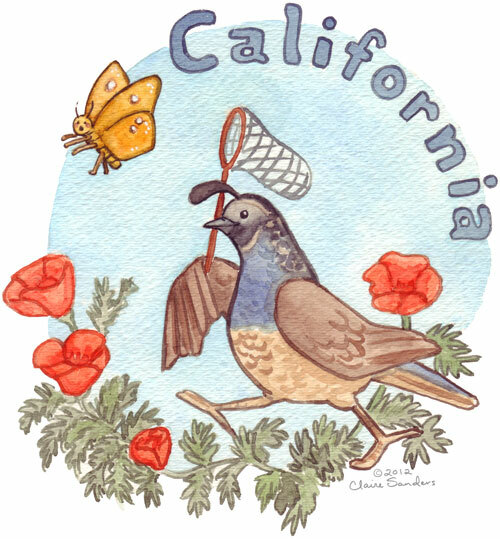 To make it fun, I made some new illustrations containing the insect, bird and flower from each state that I've lived in. 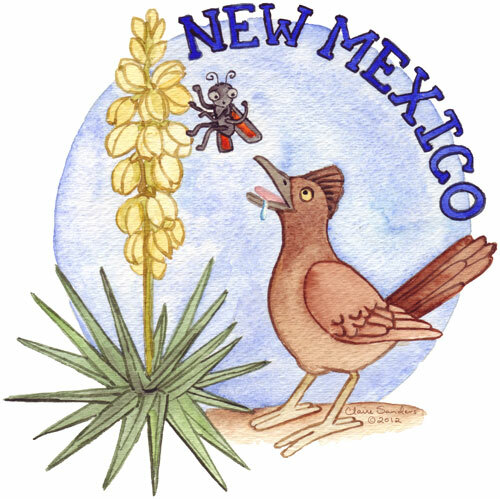 New Mexico, my home state, has some awesome animals and plants choices with the Roadrunner, Tarantula Hawk Wasp and Yucca. Roadrunner's do eat Tarantula hawk wasps so it's mildly accurate, especially with the drool. 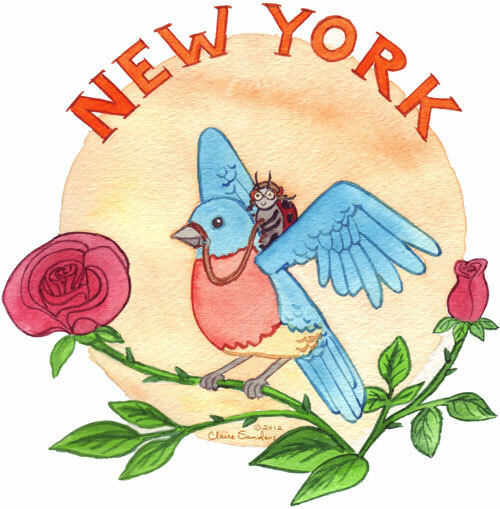 New York is definitely all-American with the the Bluebird, Ladybug and Rose. I didn't see any ladybugs riding bluebirds while I was living there but I'm sure it happens all the time. 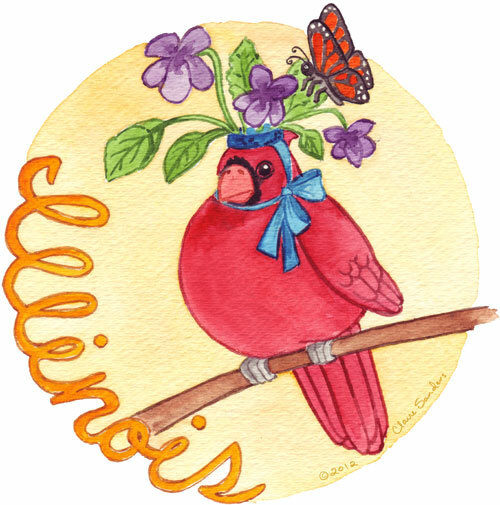 Illinois has some classy choices with the Cardinal, Dooryard Violet, and Monarch Butterfly. 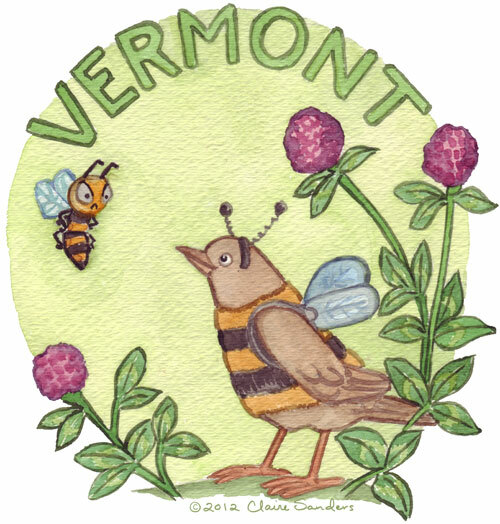 I'm not sure if I ever saw a Hermit Thrush while in Vermont, but I definitely saw lots of Red Clover and ate lots of honey courtesy of the European honey bees. 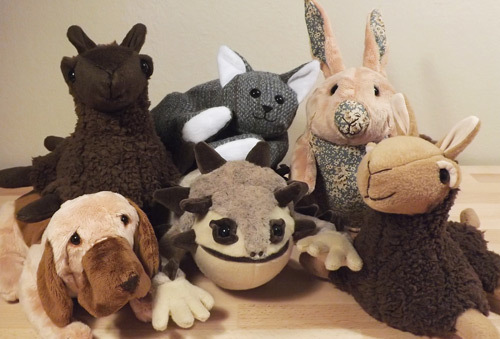 I made a bunch more plush animals, they're available for sale in my etsy shop. 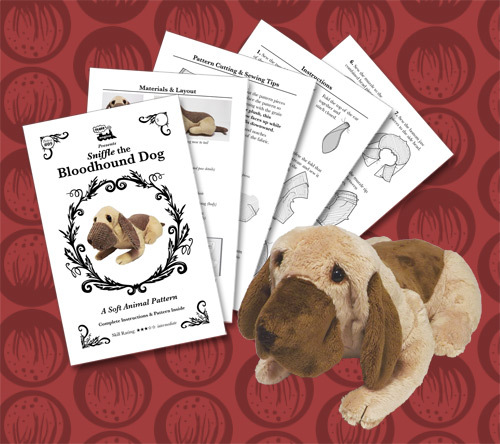 Go buy them all and give them good homes. I'm trying to work on more illustrations, so hopefully this will be the first of many. 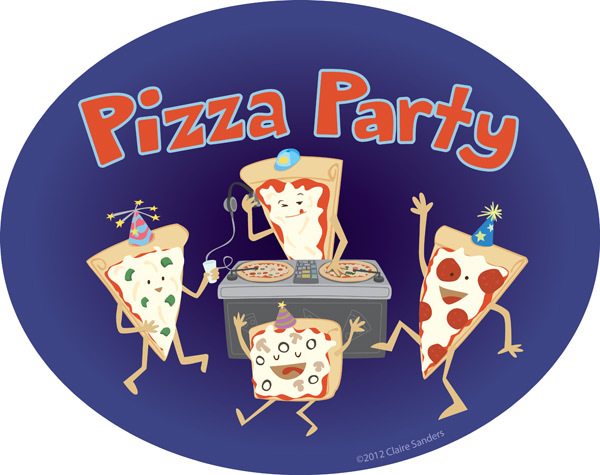 I think it's pretty funny to think about pieces of pizza having a party.